In the past week consulting firm Cambridge Analytica has been accused of mining private Facebook data, sued by Illinois’ Cook County for fraud, and exposed by an alleged whistleblower who claims the firm influenced the outcome of both the 2016 Presidential election and the Brexit vote. North Carolina has a front-row seat to this debacle—in a recent NBC new report, whistleblower and former employee Chris Wylie says that Thom Tillis’s 2014 Senate campaign against Kay Hagan (one of the most expensive and contentious races in recent state history) employed foreign nationals through Cambridge Analytica while using their consulting services. It is illegal for foreign nationals to direct, dictate, control, or directly or indirectly participate in the decision-making process of election-related activities (FEC, retrieved 3/26/18). While campaign finance reports indicate that at least seven Republican congressional campaigns paid for data from Cambridge Analytica, there seems to be disagreement over who the firm worked for and whether or not foreign nationals were involved. According to the Washington Post, an attorney advised CA executives to limit foreign involvement in U.S. elections. Despite this, Wiley told NBC news that there were “three or four full-time CA staffers on the ground in Raleigh.” He added that all of these employees were foreign nationals. 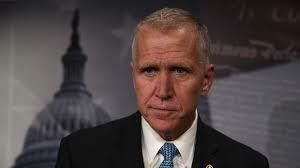 NBC News said Tillis’ campaign paid Cambridge Analytica over $130,000 in 2014. 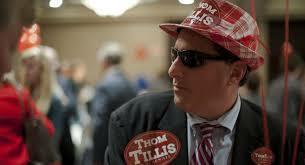 The campaign has called this report “embarrassingly sloppy” and “factually false,” saying that because the Tillis campaign headquarters were in Cornelius, not Raleigh, NBC news does not “understand that a candidate’s campaign and a state party are not the same thing.” The Tillis campaign implied that the foreign nationals were not employed by his campaign, but rather, the North Carolina Republican Party. The NCGOP has also put out several statements about Cambridge Analytica, recently and otherwise. In an interview with WRAL on March 24 NCGOP executive director Dallas Woodhouse said he could neither confirm nor deny that any Cambridge Analytica staffers worked for the party in 2014. Woodhouse added that if CA staffers did work for the party, they would have “no way of knowing” if the staffers had foreign nationality. The North Carolina Republican Party would do well to keep their story straight, as there is quite a difference between ignorance and unabashed denial in the face of these potential election law violations. This website not authorized by any political party, candidate or committee. Real Facts NC is a 501(c)(4) non-profit dedicated to researching and telling the real story about issues facing North Carolinians. We share current and developing public policy and messaging in service of a more equitable North Carolina.